It's time to feel like a kid again, get creative and color outside the lines, thanks to this new Box Of Crayons eyeshadow palette. Developed by The Crayon Case, the shadows are highly pigmented, meaning you don't have to worry about the colors not holding up to their vibrant crayon color origin. With 18 shadows, this palette is sure to have something for everyone. 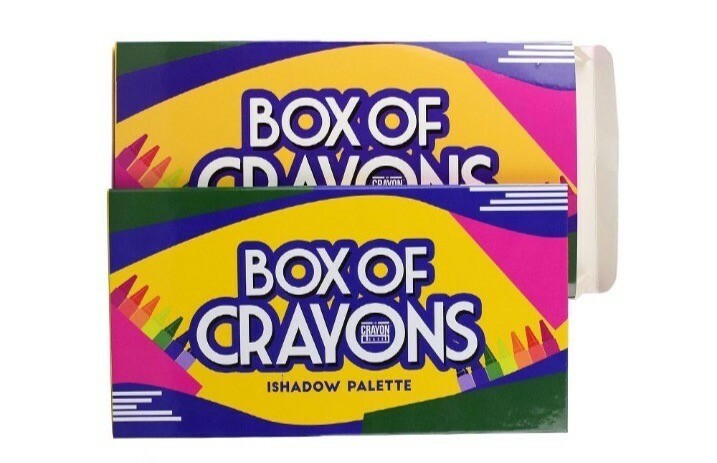 The #BoxOfCrayons palette is a MUST HAVE! Extreme pigments, big pans, waterproof, matte, shimmer, and metallic shades. Our GO-TO palette. Link in our bio. If you like to be bold and striking with your eyeshadow, the traditional crayon colors such as pink, red, blue and yellow are perfect for experimenting. On the other hand, if you like to play it safe with your shadow picks, try using some of the neutral colors in this palette: brown, tan, white, silver and maybe a fun pop of violet in your crease for some drama. Grab your Box Of Crayons Palette here before they're all gone! Previous articleWill the iPhone X be discontinued in 2018? Next articleIs Patrick Stump a Paris Vogue subscriber?